studying structure, design, architecture and all of that jazz comes in handy when i have to draw a bagpipe. actually, for that matter, when i have to draw anything. my scottish friend is celebrating a birthday today. i love being able to say that, “scottish friend”…as in, a scottish fellow who lives in scotland. 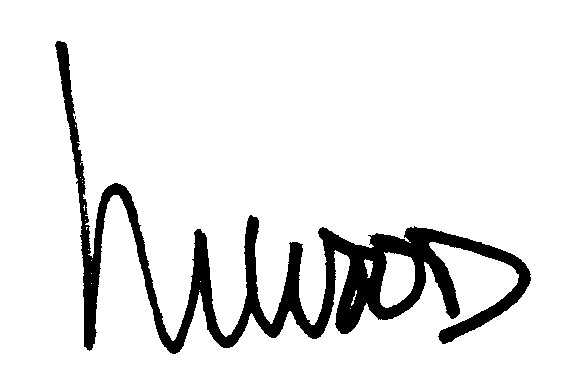 so for today’s facebook special birthday m. wood doodle, it was a compelling task…either that or the loch ness monster. now the fact that i even know this scottish fellow is because of a pair of john’s: hughes and belushi. a forever fan of both “ferris bueller” and “the blues brothers”, somehow the windy, gritty city of my backyard compelled this guy to impetuously travel from the glorious green highlands to a grey november weekend in chicago. fast forward to my being in town to, of all zany things, stand in line for the casting call to my matt damon movie. (notice it’s “my” matt damon movie…). since he’s a “stewart”, i did a bit of research, meaning, walked over to my mudroom to find my scottish wool scarf, featuring the scottish tartan, a deeply appreciated gift, used daily this past winter to keep me warm and cozy. my cat watched me stroll past her food dish (set near the lovely display of wine, always at the ready for unexpected guests), and noticed, with a frown, that i didn’t stop to “top off” her kibble. back at my desk, i took a look at a few photos of bagpipes in my “eyewitness” scotland book…then settled with a pen and paper to do the odd looking thing justice: transforming a blank piece of paper into a black line, color rendered birthday bagpipe sketch. i had no idea that there were three alternating length wooden sort of handles, each stretch of wood clustered together by a toggle…that all of these moveable arms were tied together with a braided rope, gaily tasseled at the end. how clever is that??? the fittings remind me of detailed working drawings when, back in the day, i was drafting elevations and sections of custom designed millwork for architectural projects: everything that is built by hand has to be fitted together somehow, and i love learning the ‘how’ of it all. 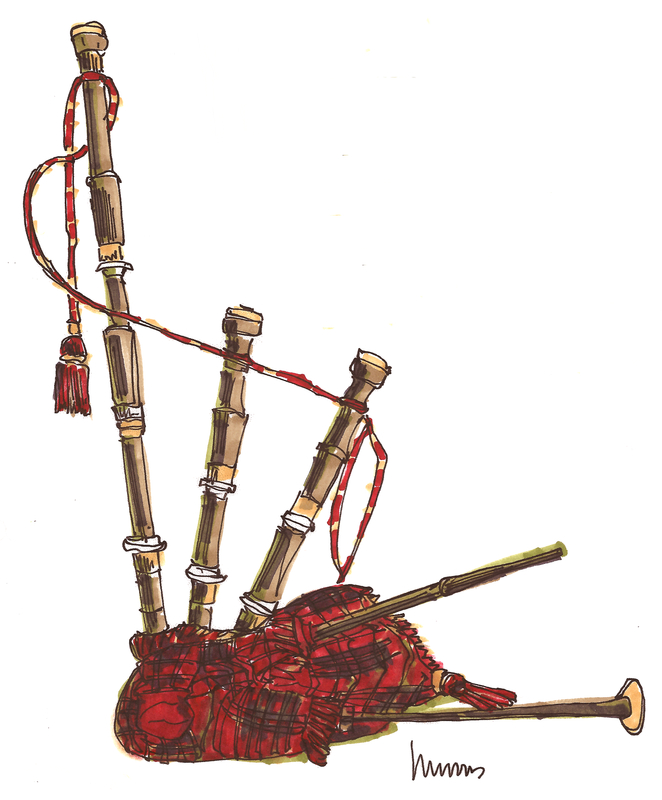 so, the cutest part of this bagpipe, which just suddenly occurred to be named aptly, as it is a bag with a bunch of pipes, is the little mouthpiece. in a reverse trumpet sort of shape, the rounded end is fitted into the wool bag with, of course, a nice round fitting, and the tapered end is the little bit that the musician blows into. in a reverse shape appears to be the actual horn. i could be making this up, but i just drew the identical shape, only the tapered end is fitted to the bag (beneath a lovely fringe of wool), leaving the horn-like end unencumbered. yes, i think that is where the shrill, ages-old, unworldly bagpipe cry escapes from. that old argument, nature or nurture, comes to mind. but i think the wordsmiths who came up with these catchy sayings left out one important factor: add in spirit, or ancestral genes to that and i will, one hundred percent of the time, vote on the side of the ethereal inheritence that, by nature of our stone soup dna, as having the strongest vote in how our heart sings. i’ve spent my life loving the hypnotic strains and sounds, notes and chants, tunes and ballads from the portion of my ancestry that hotbed of history in the united kingdom. great britain, for my history has taught me that, and ireland. yes, the french part of me swoons along to edith piaf and the accordian sounds of a parisian street cafe, but deep in my lungs, blood and soul, i’ve felt a yearning connection to the other side of the channel. the little flute thingy, is that a flute or tin whistle? a fiddle, stomping feet, angelic sweet voiced enya, clannad, the march of the constant single drum to carry the melodic scream of a lone bagpipe, the floaty waves of voices that conjure ghosts and centuries of life, stacked up one by one, layers of tradition, jigs, tartan, green, sheep, twinkles in the eye and a solid, sleepy march from one tried and true century to the next. simple, unfussy, digging in the soil, loving in the technicolor green grass, fable upon fable, wink with a side of smile. years ago, i was set to meet my waiter boyfriend in london and then discover all of england, scotland and ireland on a backpacking adventure. the maps and plans were set, the british air tickets tucked safely beside my very first passport. before our initial parting, whereby later i’d meet him for the start of our monthlong trip, we made the fatal decision to see “room with a view”…. strike the uk, give me italy! helena bonham carter, dame judi dench, firenze, italy, italy, italy! yes, my life has indeed had it’s share of distractions, and i’m a bonafide impetuous elf, time and time again. after meeting in rainy, cold london (it was january…. ), we set off for the south, following the sun as it showered us with a roman holiday of our own, and a lifelong love of all things italian…saving england and it’s sisters for another day. that day has taken twenty five years to come. so the best of all, in this morning bit of side-tracked research, is that not only is my friend having a birthday today, but that, in a matter of a couple of short, busy, summer months, my children and i will be trekking to the mysteriously beautiful land of scotland itself to buy our pal a belated stout ale, wax and visit at the pub, and enjoy a personally guided tour of his beloved country, castles and all. and on our list? check out a highland game with the haunting soundtrack of a gathering of bagpipes, of course! with a side of soul-nourishing everything else.